Michayla and Cody were married at the historic Palace Theatre in Manchester, NH on August 25, 2018. The Theater holds a very special place in the hearts of Michayla and Cody. 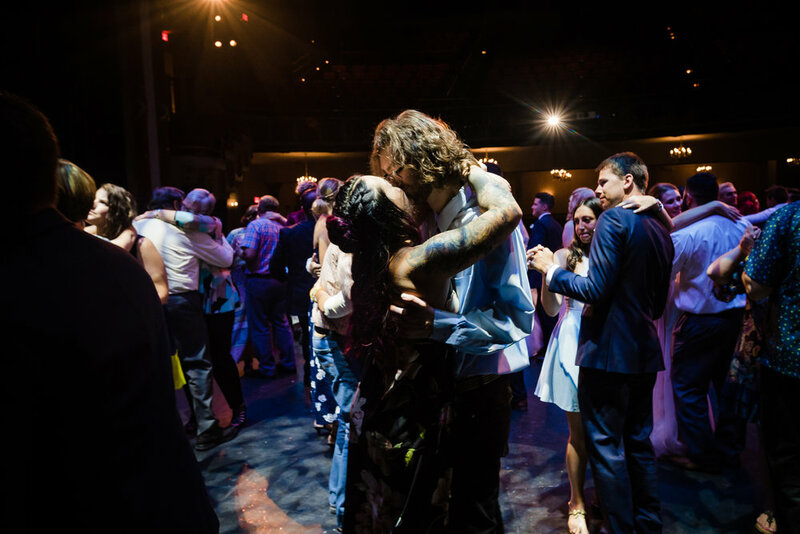 Both are actors and professionally involved in the Palace Youth Theater program, and each has a long history of work with past theater productions, so it made more than perfect sense for their actual wedding to take place here! In fact, Michayla’s passion for the Palace Theatre is so strong, that she recently took a position working for the Theatre’s marketing team! 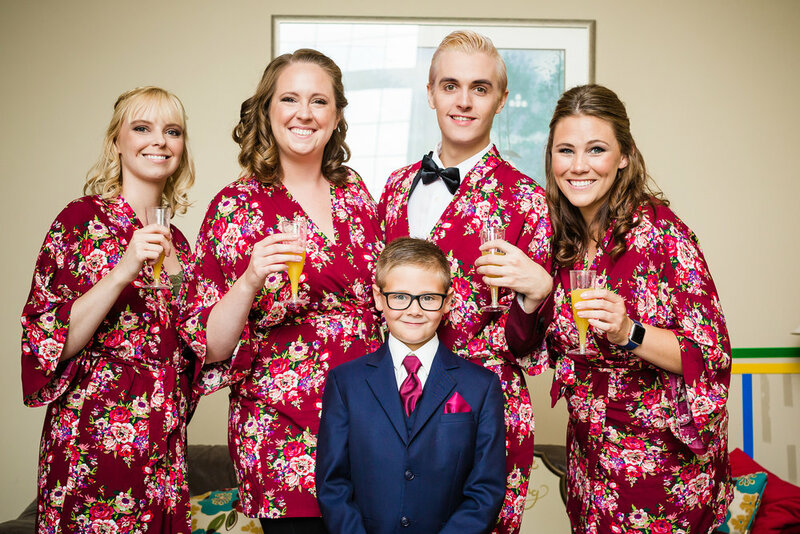 Michayla and her bridal party got ready at her parent’s residence in Manchester, while Cody and his groomsmen did the same at Doubletree by Hilton Hotel. Michayla & Cody’s first look was strategically planned to take place up in one of the theatre’s iconic balconies, followed by family and wedding party formals which were shot on the majestic stage which contributed to a heightened sense of cinematography which I can say, I have not experienced to this degree, since (having a theatre lighting designer as a close friend of the couple always helps!). The ceremony took place right on the stage as well, and a quick transformation of the stage during cocktail hour, turned the area into a magical reception space, with artistic lighting, upscale table decor, and a stunning celestial backdrop that tied the overall aesthetic together remarkably well. Intros, toasts, dinner, and dancing followed, culminating with our heading out into the warm, starry, summer evening for some epic night shots in front of the Theatre. Michayla and Cody - thank you for trusting in me to capture your special day, and for allowing Kris and I the artistic freedom to help tell the special story of your day according to our vision. You guys are awesome and I wish you all the best! A Little Background on the Palace Theatre! The Palace Theatre is truly a New Hampshire treasure. Designed and modeled after its namesake in NYC, the the Palace Theatre in Manchester, NH was considered “the only first-class theatre in New Hampshire that was fireproof and ‘air-conditioned’, when it was built back in 1914. Opening night in April of 1915 was a celebratory affair with the presentation of the play “Modern Eve” to a full house. 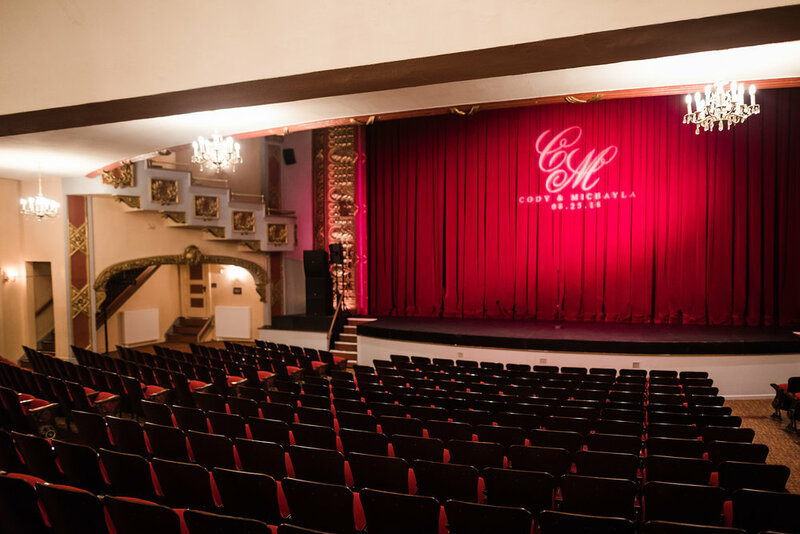 Famous performers whose talents graced audiences at the Theatre have included the likes of Jimmy Durante, Bob Hope, Harry Houdini, The Marx Brothers, and Red Skelton. After falling on some years of disrepair beginning in the 1960s, a major renovation in 1974 saved the theater from certain demise. Today, the Palace Theatre is a stunningly restored 834-seat performing arts center. Located in an an area that once boasted 22 theatres, this historic building is now the sole survivor and remains a center of cultural activity for all to enjoy. A huge thank you to Kris Lenox for shooting this amazing day with me! Click on images to render full screen view!